The level of debt load of Russians in 2019 may reach a record in five years. This was announced by Director of the financial stability Department of the Bank of Russia Yelizaveta Danilova, reports TASS. According to her, the debt load of the population reached the level of 9.9 percent. While the peak in 2014 she was at 10.4 percent. According to the Central Bank, the situation with debt burden, largely associated with the growth of unsecured consumer lending. The Bank of Russia had previously stated that if the current rate of growth in unsecured lending will continue, from October 1, 2019, the regulator may differentiate risk weights for consumer loans depending on the debt burden indicator. At the same time the debt burden on mortgages is at a low level and grows slowly. “This is connected with the fact that mortgages are long-term loans, which are characterized by a lower interest rate, it’s more comfortable lending to borrowers,” said Daniel. The level of indebtedness of inhabitants of Russia on the consumer credits for 2018 was the highest in five years. Debts of Russians for the year increased by 22.8 per cent. 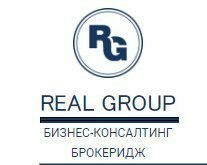 The total debt of citizens at nominal value amounted to almost 15 trillion rubles.